Losing weight is never an easy task and I should know, I've been trying to lose weight for over a year now. Some people put weeks out of every year into this task, throwing themselves into dieting and exercise in the hopes of improving their body. Of course, though, it doesn’t take long for most to find themselves getting bored of their routine - I've been going to the gym for almost a year now and walking daily and am beginning to get bored, so it's time to change things up! When you’ve been able to overcome something like this, you have an excellent chance to help others to do the same. 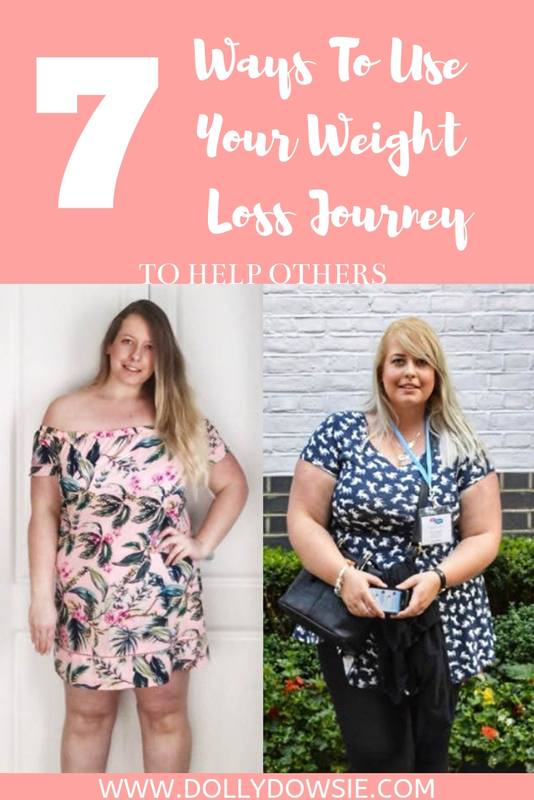 To give you the chance to start working on this, I'm sharing the sort of information you can share about your own health and weight loss journey, along with some of the tools you have available to make this nice and easy. Getting fit and healthy can often be a long process, and this means that you will experience loads of different things along the way. You will overcome challenges, find new tricks, and learn about what it takes to be in good shape. By sharing this information with others, you can push them further towards their own goals, and this is an amazing gift to be able to give to someone. I share a lot of my personal health and fitness efforts on my social media and the feedback from other people is always great and met in a positive light. It's lovely to have people say you've 'inspired' them and is a real positive for me when it comes to sticking with my own health and fitness efforts. When you browse around the web to find information about fitness, it can be surprisingly hard to access simple routines which don’t force you to go to extreme lengths to workout. Of course, though, you’ve already gone through the process of figuring out what works for you, and this might also work for someone else. This makes sharing your routines a great place to start when you’re thinking about supporting others. Everyone is different, but this can be the perfect starting point for someone new to exercise. Keeping motivated to go to the gym each day isn’t always an easy task. With a busy life to contend with, work taking up loads of your time, and too many easy excuses to skip a session, it’s amazing when people are able to overcome this issue. If you’ve managed to reach your fitness goals, you will have had to learn tricks along the way which will have kept you on the right path. This is something which a lot of people never consider, making it hard for them to get started whatsoever. There are few journeys more personal than losing weight. While this sort of effort may take a long time, and you can find yourself in loads of different situations along the way, people will be interested to know how you get on. Seeing someone going through a process like this can be a great inspiration - I know this is the case for me. You don’t need to teach anything or impart any information, instead simply sharing the experiences you have can be hugely beneficial to not only you for looking back on your progress, but for others who are looking to be inspired and gain some tips or knowledge about nutrition or fitness. In fact, you’ll probably learn more useful information than you give away. In the age of the internet, proof is more important than anything, especially when you’re claiming to be able to help people. Thankfully, you have a great case study, and this comes in the form of your own body. You will have probably spent a long time recording your results from each of your gym sessions, giving you a chance to show people how successful you’ve been. Not only can this inspire people, but it will also show them what is possible, making their own journey feel more worthwhile. I've shared a lot of weight loss updates on the blog before and one popular one has been how I lost 30lbs naturally in 5 months. Where Can You Give It? Nowadays, you have more public platforms available to you than ever before. Whether this is online or in person, it’s never been easier to use you knowledge to help other people, especially if you’re willing to put some time into it. Below, you can find some examples of the best places to look, but it will also be worth doing your own research to find some answers. Blogs/Social Media: Over the last couple of years, blogs and social media sites have both seen a massive uprising. With practically everyone using websites like these, they are great places to start when you want to spread a message, and they are completely free to use. I share my own personal health journey on my blog and on my Instagram @dollydowsie and @fionagettingfit if you fancy following along. Of course, you’ll need to brush up on your content creation skills to make this work for you, but this will be worth it. Some people are even able to make a living out of doing work like this, making it worth considering if you’d like to build your life around fitness. YouTube is one of the most popular places for people to learn about fitness, at the moment. While this sort of place is very competitive, it can also be very rewarding, and this makes it worth considering when you’re looking for ways to share your ideas. Making videos has never been easier, with a smartphone often providing a camera which is plenty good enough to meet the needs of a growing channel. Of course, though, you may want to improve this as time goes on. There are loads of jobs out there which call for people who are skilled in the field of exercise and fitness. By taking an exercise GP referral course, you could learn to help those who have been injured and can’t live a normal life, anymore. Or, if you’d prefer to move closer to one of your passions, you could look at training to be a sports coach, spreading your passion for being active to others around you. There are loads of jobs out there which involve exercise, giving you the chance to find something which perfectly matches you. With all of this in mind, you should be feeling ready to take on the challenge of using your weight loss journey to be able to help others. There are loads of ways to spread knowledge like this, especially when you spend a lot of time on the web (which I do!). Of course, though, this is something which you should do because you enjoy it. If you don’t feel passionate about the information you’re spreading, people will easily be able to tell, and this will make it far harder for them to engage. Fitness is a personal thing, and this means that it needs a personal touch if you want to inspire others and help them with their own journeys.